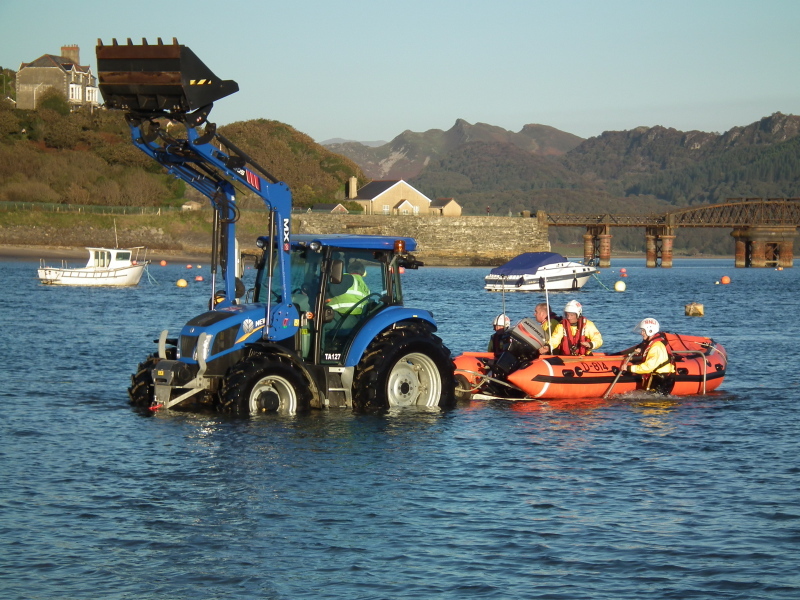 RNLI Inshore lifeboat in the process of being recovered. That's how we do things here in Wales ! D 814 Craig Steadman operates alongside Barmouth RNLI’s all-weather Mersey Class lifeboat Moira Barrie until 2020 when the Mersey is set to be replaced by a Shannon class all-weather lifeboat. With a top speed of 25 knots, she can spend three hours at sea at this speed on search and rescue missions. She is highly manoeuvrable and usually operates closer to shore than all-weather lifeboats. She comes into her own for searches and rescues in the surf, shallow water and confined locations - often close to cliffs, among rocks and even inside caves.